Here is a recipe for sea vegetable lovers. Sea vegetables are excellent natural source of iodine. If you consume sea vegetables regularly, you will not need to worry about taking potassium iodine (KI) for severe radiation exposure. I just made a pot of Tofu-Seaweed Soup last evening. Both my stomach and thyroid are happy …. 1. Cut ginger into thin strips. Put it in 3 cups of purified water together with peeled and sliced carrots and a dash of sea salt in a stainless steel or ceramic pot. Boil the content on high heat. 3. Bring the content to boil, and put in tofu. Cut flaky seaweed into pieces (or tear with your fingers) and drop them into the soup. 4. Add a sprinkle of unprocessed sesame oil, and stir gently. Serve with brown rice and other dishes. If you use shredded dry kelp, soak it in purified water for about 10 minutes. Throw away the soaking water, rinse well, and boil it with purified water, shredded ginger, sea salt. Bring it to boil on high heat, then add sliced carrots, and then add diced tofu and bring it boil again. Stir gently. Sprinkle some unprocessed sesame oil. Mmmmm …. Yum Yum …. This dish is very rich in protein and minerals, especially iodine. Iodine is excellent for metabolic function of the thyroid. It is also helpful for growing healthy hair, skin and nails. For those of you who don’t mind the fishy taste of seaweed, this dish is great for weight watchers because it is low in calories, rich in protein and great for metabolic function! I provide consultation on yeast-free nutrition, herbal detox, hormonal imbalance, weight control, stress management, and spiritual counseling. Please call (800) 715-3053 or send an e-mail to drj@drjsbest.com for an appointment. Consultation on the phone or Skype is also available. You are only one-phone-call away no matter where you are in the world. 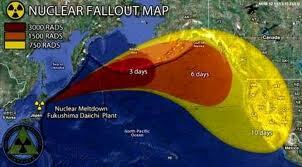 Many people are concerned about the nuclear fallout from Fukushima, Japan. In my previous articles I clarified that Americans in the U. S. do not have to be concerned about acute radiation syndrome (ARS) at this time, since ARS only occurs when there is a large amount of exposure to radiation in a short period of time. What we need to be concerned about is chronic radiation sickness. Most radiation particles have a long half-life. For example, cesium: Cs-137 has a half-life of 30 years Radiation particles can contaminate the water supply, food, environment, pets, and people. The symptoms of chronic radiation sickness vary according to the dose and the duration of radiation exposed. The general symptoms include: recurrent infections, low grade fever, loss of appetite, weakness and fatigue, fainting, dehydration, inflammation (swelling, redness or tenderness of tissues), anemia, unhealed open wounds, hair loss, bruises, and skin burns. Large amounts of or long term exposure can cause birth defects and cancer. Treatment usually focuses on the reduction of symptoms. The Mayo Clinic staff is also concerned about bacterial infections. However, there is no mention of yeast disorders. Why do yeast disorders occur with chronic radiation sickness? Very simple, radiation burns and kills. 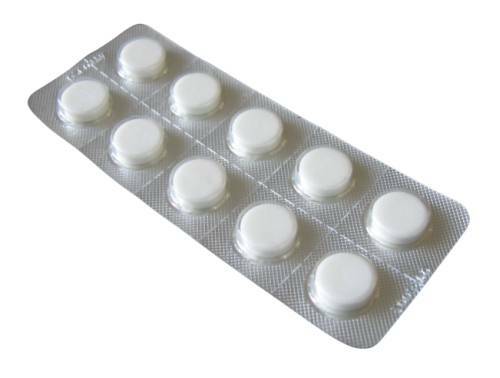 It destroys the DNA in your white cells, and thus destroys the immune system. If the immune system is weak, the body has no defense when yeasts, bacteria, viruses and parasites invade. 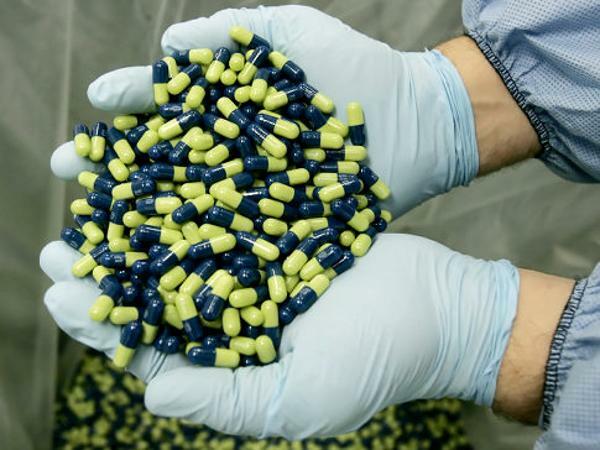 The contemporary medical establishment uses antibiotics liberally to kill bacteria and viruses, but antibiotics kill both the good and bad guys. The good guys (good bacteria floras) take a long time to come back, while the bad guys (harmful yeasts) take no time to repopulate. Consequently the body suffers a severe case of yeast overgrowth, and that can contribute to cancer as well. What would be the best way to prevent and treat chronic radiation sickness? Stay tuned. The detox protocol for prevention and treatment for chronic radiation sickness will be detailed in the next article. Choose Love and Peace instead of Fear and Anxiety. For consultation on yeast-free nutrition, Chinese herbal therapy, stress management, spiritual counseling, and detoxification for chronic radiation sickness on Skype or telephone, please call us at (800) 715-3053 for an appointment. Chronic Radiation Sickness – What are the Risks? The International Atomic Energy Agency has rated the danger from the damage in Japan a 4 on a 7-point scale. That’s lower than the risks caused by the meltdown at Three Mile Island in 1979, which rated a 5, and the Chernobyl disaster in 1986, which rated a 7. At Three Mile Island, no one died. The reactor that exploded at Chernobyl, sending a cloud of radiation over much of Europe, was not housed in a sealed container as those at Daiichi are. The Japanese reactors also do not use graphite, which burned for several days at Chernobyl. 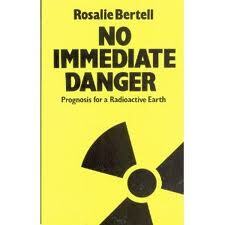 Acute radiation deaths or acute radiation syndrome (ARS) usually would be expected only much closer to the plant. 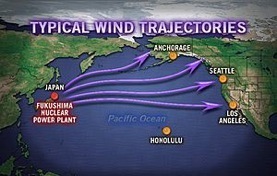 Radioactivity can also be carried to distant places by wind, though it will become increasingly diffused. So what we need to be concerned about in the United States is chronic radiation sickness from the exposure to radiation fallout or contamination. Radiation fallout or particles that fall on your skin can be brushed off. However, be careful not to contaminate other people and objects. Radiation contamination occurs when one comes into contact with radioactive materials, typically in the form of what you eat, inhale, and absorb through skin wounds. You can have both internal and external contamination. If a large amount of radioactive materials is absorbed, they will be transported to various sites in the body, such as the thyroid or bone marrow, and can cause DNA defects. Both radioactive fallout and contamination require the immediate removal of the radioactive materials. Contaminated skin should be scrubbed immediately with large amounts of soap and water, small puncture wounds should be cleaned vigorously to remove all radioactive particles (even though the scrubbing may cause pain), and contaminated hair is clipped off rather than shaved because shaving may abrade the skin and allow the contamination to enter the body. Just like in Meryl Streep’s movie Silkwood, scrubbing of the skin surface areas should continue until a Geiger counter shows that the radioactivity is gone. What are the symptoms of chronic radiation sickness, how are they associated with yeast and parasitic infections, and how do we reduce or eliminate them? Stay tuned. More details will be revealed in the next few articles. Become a fan of our Facebook page at http://www.facebook.com/drjsbest to receive daily updates on this important issue. You can also follow us on Twitter at www.twitter.com/drjsbest. For consultation on yeast-free nutrition, Chinese herbal therapy, stress management, and spiritual counseling on Skype or telephone, please call us at (800) 715-3053 for an appointment. Potassium Iodine (KI) – Good Against Radiation? Potassium iodine (KI) is good to prevent thyroid cancer only if there is radioactive iodine in the radiation. Also, radioactive iodine loses its radiation power after a few days. So, KI is only needed within the first few days of exposure to radiation. Stocking up on a bottle or two can be more than enough to fight against this type of radiation damage. A bottle is good for a 30-day supply, and the shelf life is from five to seven years. Because of the frenzy of stocking up on KI, some retailers take advantage of the situation by increasing their prices from less than $ 50 a bottle to $ 500 or even $1,500 a bottle. Is it necessary to pay for KI at such a high price? I don’t believe so, and the following is the reason why (be aware that KI is only good to prevent thyroid cancer right after the exposure to radiation, but not other types of cancer such as leukemia). Can you get iodine from a natural source? Of course you can! 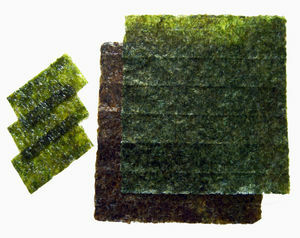 Sea vegetables like kelp provide an abundance of iodine. One table spoon of kelp provides approximately 12 mg of iodine, while daily recommended dosage is only 150 mcg (1 mg = 1,000 mcg). Therefore, it would make more sense to stock up on dry sea vegetables like kelp. If you eat sea vegetables regularly, then you have no need to stock KI. For consultation on yeast-free nutrition, herbal therapy, stress management, and spiritual counseling on Skype or telephone, please call us at (800) 715-3053 for an appointment. Should We Be Worried About Acute Radiation Syndrome (ARS)? What is Acute Radiation Syndrome (ARS)? ARS occurs when individuals are exposed to a large amount of radiation in a very short period of time. According to earthquake experts, 6 G (gray is a measurement of radiation exposure) is a lethal dosage. Individuals exposed to more than 6 Gy of radiation will die within days or weeks. Why is radiation so lethal? Radiation burns and kills. It destroys DNA in white blood cells, and thus destroys the immune system. Within two to three days of radiation exposure, if a cluster symptoms of nausea, vomiting, fever, diarrhea, skin burns, confusion, etc. occur, that’s an indication of ARS. According to the Mayo clinic, treatment for ARS is geared towards symptom relief. If there is radioactive iodine in the radiation, the patient is also given Iodine potassium (KI) to prevent thyroid cancer. However, KI will not prevent other types of cancer such as leukemia. Should we be worried about ARS? Unless you are exposed to a large dosage of radiation within a short period of time, you will not suffer from Acute Radiation Syndrome. The fallout of the radiation diffuses the radiation power after “travelling” a distance. Some people in the U. S. are very concerned about the impact of the nuclear power plant damage after the earthquake and tsunami in Fukushima, Japan. However, what we really should be concerned about is chronic radiation sickness. In future posts, I will elaborate on the symptoms of chronic radiation sickness and the role of yeast-free living in the prevention and treatment of this serious public health issue. For consultation on yeast-free nutrition, herbal therapy, stress managememt, and spiritual counseling on Skype or telephone, please call us at (800) 715-3053 for an appointment.